The old plastic drum is turned into the bonnet, plastic buckets are used as front seats with storage space, and scrapped iron rods and pipes are being used as chassis of the electric car. The seats also have space to store away things. What makes his work even more commendable is the fact that he neither has an engineering background nor had any prior experience in automobiles. 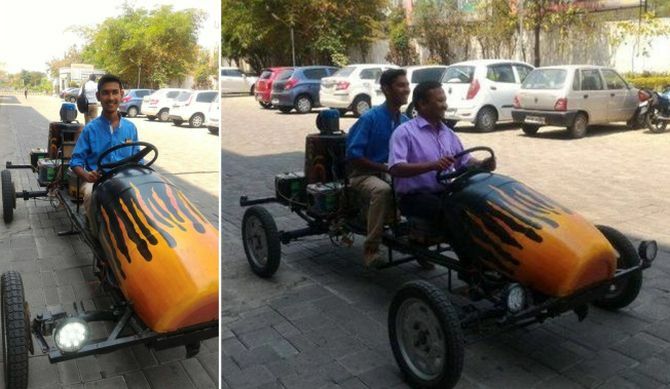 He has managed to create this green automobile out of sheer interest, using the pocket money of Rs 50,000 that he had saved over the years. Talmale took about a month to develop this eco-friendly car, which measures 10-feet in length and weighs around 200kg. The car even features two headlamps up front, tail lamps at the rear and can be fully charged with two units of electricity. On a single charge, the battery-powered car can last for up to four hours on the road. 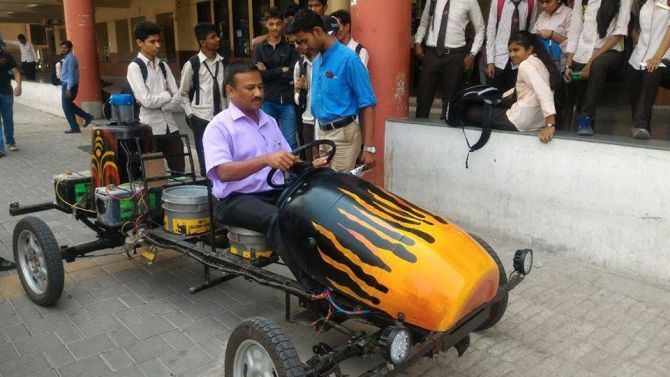 Currently studying at air rifle shooting course in Pune, Talmale recently drove this self-made car from his institute to Amaravati and back. His road trip of 150km did not require recharging the car in between. It’s absolutely amazing to know that this teenager with no experience in automobiles has created a functional electric car that even reputed car makers take years to build. 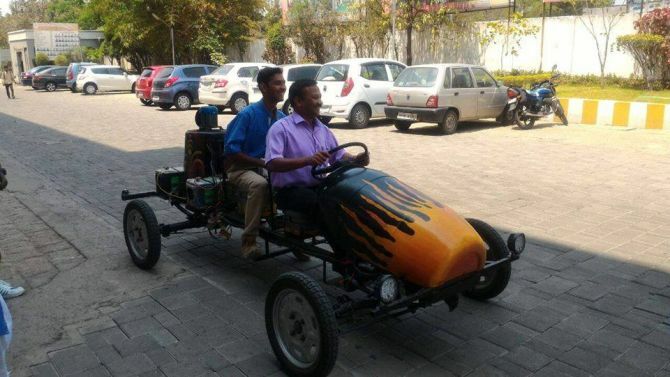 We think Talmale can give some serious inputs to create India’s futuristic green electric cars.